During month of March 2014,Microsoft released first Cumulative Update CU1 for Configmgr 2012 R2 and now ,Microsoft released 2nd Cumulative Update CU2 for System Center Configuration Manager 2012 R2 with lot of fixes,powershell changes and some of them been modified. This Update (Cumulative Update 2) Replaces Cumulative Update 1 .If you have not installed R2 CU1 yet,you can directly go with Cumulative Update 2. So what are issues that are fixed and functionality that is updated in Cumulative Update 2 (CU2) ? This update do not require Restart after the installation but recommended to close the admin console before you start the installation. 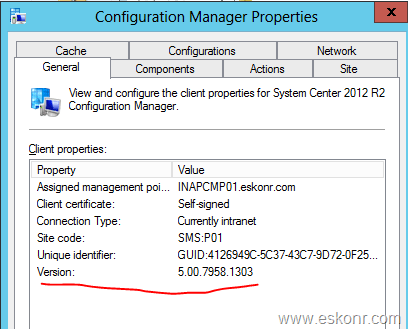 This cumulative update changes the following Configuration Manager version numbers and installation properties. The CULevel value is set to 2 for Cumulative Update 2. 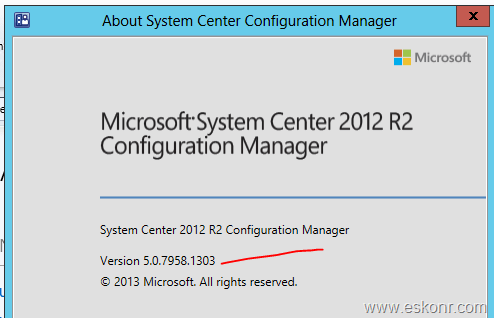 10 Responses to "SCCM Configmgr 2012 R2 Cumulative Update 2 –KB2970177 Available for Download"
Installed CU2 on sccm2012 R2. 1) OSD deployment has became very slow. It was working fine. did you install the CU2 hotfix on all clients ? if you have clients with 1000,you need to install the CU2 on clients . you will have to provide more information about the OSD slowness problem. it did same for CAS and primary sites. there was no other application deployment pending reboot. It didn't ask for reboot even in my lab. You didn't hear about this from any clients? no,i dont see any information about reboot from any of my clients so far. I have not seen in lab/production asking for reboot and CU2 article doesn't even say about reboot required. Updatesetup.log is something refers to other updates/applications installed and prompt for reboot ? Does the CU2 include any of the fixes from CU1? If we still want to update with CU1 and CU2, do we need to install both in any particular order? CU2 include all the fixes available in CU1,so you can directly go with CU2 ,skip CU1 if you have not installed it.